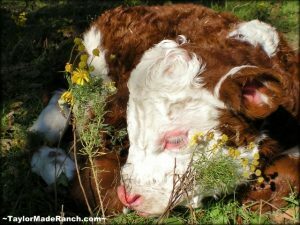 What’s Going On At The Ranch? 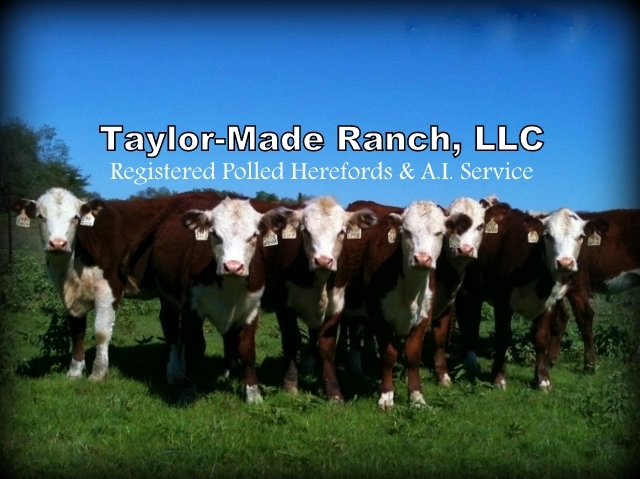 We offer Registered Polled Hereford heifers, yearlings, bulls, pairs and 3-in-ones. 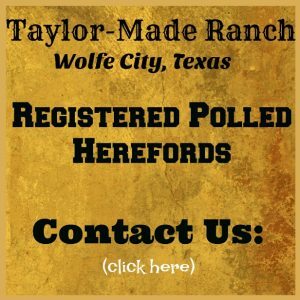 Check out the CATTLE OFFERINGS tab above to see what we currently have available for your herd! 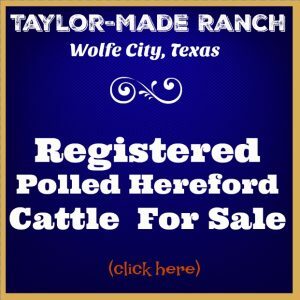 Copyright © 2019 Taylor-Made Ranch. Powered by WordPress. Designed by myThem.es.